1. If my house is designated, it’ll prevent improvements. False. 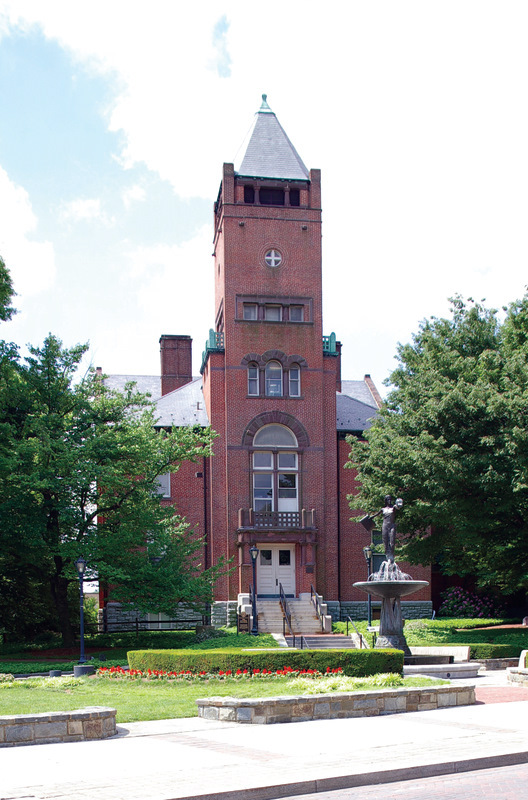 In Rockville, owners of historic properties can complete routine repairs and maintenance without review or approval, as long as they replace in kind. So fix your roof with the same material, it’s okay. Change from asphalt to slate, it’ll need to be approved by the HDC. Paint colors are never subject to approval, so if you like yellow and purple stripes, go ahead. Work on the inside of your house isn’t reviewed by the HDC, so remodel your kitchen and bathroom. It’s permanent changes to the outside of your house that matter, and even then, if they are thoughtfully designed to preserve the historic character of your house, you can even add a room or demolish a wing—it just needs to be reviewed and approved. The HDC has done this dozens of times. But if you’re worried about this additional review, just remember that the city already has the right to approve changes to your home, especially if it can affect public safety. If you reroof your house, add a room, or remodel a bath, you’ll have to get a city building permit and are subject to an inspection. Building codes are a result of unsafe construction practices, which threaten neighboring homes and future owners (as well as the present ones). Preservation ordinances are a result of demolitions of historic buildings and badly-designed remodelings that lowered neighborhood property values. So if your house is historic, you might as well go through the extra step of approvals to get the tax benefits (did anyone mention that to you?). You’ll find a detailed chart on permits and approvals for historic buildings on the City’s Web site (notice how many items don’t require approval from the HDC). Old and new houses on Beall Avenue. 2. If my house is historic, it’ll lower my equity and resale value. Mostly false. Historic preservation typically stabilizes property values , especially those in lower or middle income areas. Indeed, if historic preservation gets criticized, it’s that it improves property values so much that the owners can no longer afford the taxes to live in their houses (gentrification). Why? Because it slows and limits the rate of change in a neighborhood, preventing extensive demolitions (empty lots) and bad improvements (McMansions) and gives everyone a much clear understanding of what will be happening in the future (I don’t have to worry that the house next door is going to be remodeled into a monstrosity or torn down for an empty lot). If you want to see a clear demonstration of this, look at the West End. On Beall Avenue, one side of the street is in the historic district and the other is not—and you’ll be able to able to spot the difference immediately (the trick is to see houses as a neighborhood, not just individually). In wealthier areas, historic preservation usually protects what’s already there and doesn’t seem to affect property values as much—it’s mostly a prestige factor. There are people who feel that any limitations on the use of their property reduces their property values—but they also forget that such unlimited rights would allow their neighbor to convert their home into an apartment building, car repair shop, or adult book store. For me, property values are not just a result of what I can do, but what I can’t do. 3. All houses over 50 years old, as in Hungerford and Twinbrook, are considered historic. False. “Old” and “historic” are not the same thing. 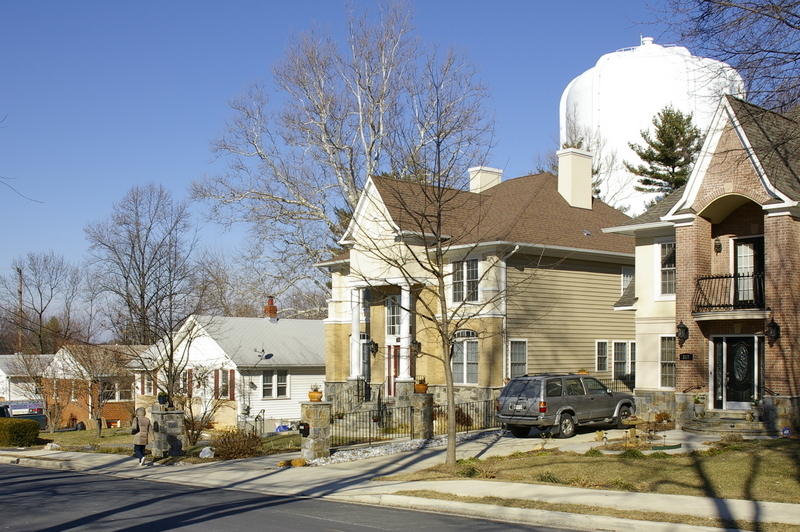 The City of Rockville has used written criteria, based on national standards, since the 1970s to determine if a building is historically significant, such as association with a famous person or event; work of a master craftsman or artist; or association with the development of a community, state, or nation. Notice that age is NOT one of the criteria–there’s no magical threshold that causes a property to be historic when it turns 50 years old. To be designated “historic” in Rockville, you have to go through a very lengthy process of public review to earn it. Here’s the confusion: the HDC does review every application for a demolition permit to ensure we don’t lose something historically significant. That’s what happened on Paca Place in Hungerford and on Crawford in Twinbrook. Demolitions have an enormous long-lasting impact on a neighborhood. Not only can it affect property values by leaving an empty lot (remember the IBM Building downtown? lots of promises but still abandoned) or create a house that’s wrong for the neighborhood, but it also erases a place forever. Before that happens, the community (via the HDC) has a chance to review and comment. It’s hard to believe, but places like Independence Hall and the Red Brick Courthouse were once slated for demolition. Preservation is often the result of changing tastes and attitudes, and I’ve noticed that every generation seems to love the architecture of its grandparents and hates the architecture of its parents. In the 1950-60s, many people hated big fussy Victorian houses, like those on West Montgomery Avenue, and wanted to demolish them for modern ones. Now, those same houses are cherished and protected—but people can’t understand why we’d want to save any buildings from the 1950s and 1960s. Historic preservation can be controversial, but it’s typically due to misunderstandings and misinformation. Every city and county does it differently, so what happens in Annapolis or Gaithersburg isn’t how it’s done in Rockville, so avoid making comparisons. The City Web site has lots of information and the staff and commissioners are all very helpful and welcome your questions. If I have any concerns, it’s that the City’s support for historic preservation has dropped significantly over the past few years—it’s about 25% of where we stood three years ago and there’s no sign that this will change any time soon. It’s been done quietly by the City Manager and without much notice by the Mayor and Council, and although the affect isn’t readily visible, it will be over the long haul. And just to be clear, I’m speaking as a private citizen and not as a member of the Historic District Commission or as a representative of the City of Rockville. They may have differing opinions. Your comments are always welcome (and I may not reply immediately to give others a chance). It is interesting how people interpret policies, rules and regulations differently. With respect to the historic designation on City property, I have seen different interpretations from various sources. I caution people in making statements that are misleading. I also would like to see corrections made when a false statement is made. Max thank you for giving your interpretation of the article that was written in the June 1, 2010 letter from Christina Ginsberg. Wasn’t it a letter to the membership from the TCA president and not a newsletter? A letter? A newsletter? When I opened the envelope, I actually wasn’t quite sure what it was since it had a signed letter on the front page followed by several pages of news stories summarizing the past year, along with a membership application. How about a letter with news? or a news summary? Max, I very much enjoyed reading your article – Historic Preservation in Rockville: Myths and Misconceptions. So much to learn; so little time! hello, and thank you for your column and service to the city, max! it would be good to balance the newsletter comments with those of someone who purposely sought a historic designation on his or home and how it is of benefit. the generally negative tone of that short newsletter (putting historic in quotes, e.g.) piece belies the purpose of historic designations, which exist nationally. in my experience a historic designation never reduces property values; it does just the opposite. can you explain what transpired in the 2009 case? 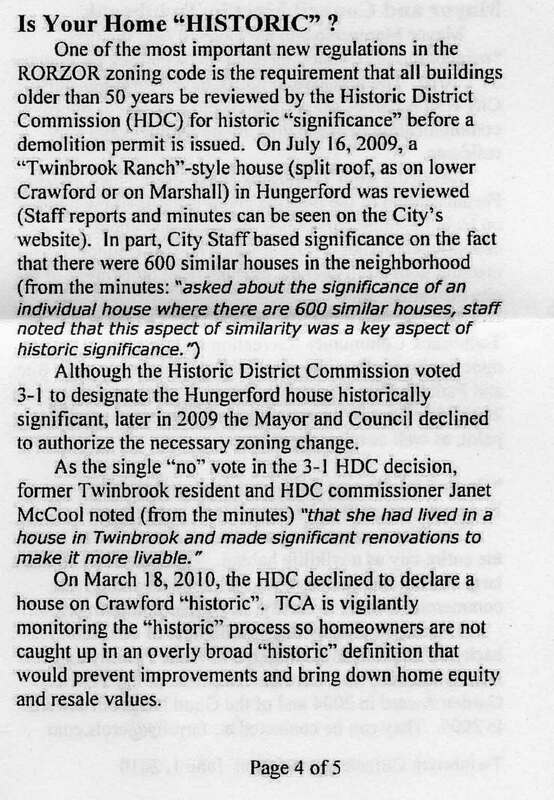 the HDC ruled it significant, but then the story says the mayor and council didn’t change the zoning. this is confusing to me. how are the two linked? what sort of zoning was necessary; what was the owner trying to do? did this go throughout planning commission? i know that you have openings on the HDC. perhaps rather than just “vigilantly monitoring” and criticizing what the HDC does, some members of the TCA and other residents may want to consider serving. What a great idea–I’ll see if I can have someone who sought designation talk about their reasons. I know a woman in Lincoln Park who listed her house because of the pride of being recognized as a historic landmark plus she was getting ready to do renovations (and designation would reduce the cost because of tax credits). Most people believe that designation happens against the owner’s wishes, but that’s a worst-case scenario. Of the hundreds of buildings listed as landmarks in the City of Rockville, the vast majority were voluntary. The 2009 case is for a post-war house on Paca Court in Hungerford. The HDC doesn’t designate landmarks, it only makes recommendations to the Mayor and Council based on the criteria they established. The Mayor and Council designate landmarks–which affects the zoning but it’s a technicality. The zoning for the property gets a “HD” code added to its zoning so that it can be quickly recognized by staff, property owners, potential buyers, neighbors, and the public. The last thing anyone wants to have happen is that the city issue a demolition permit because they didn’t know the building was historic. The use of property (which is what zoning is primarily about) doesn’t change at all. If it’s zoned residential, it stays residential but just adds the HD identification. And I completely understand why this is confusing–it often confuses members of the Planning Commission because they have to decide each time if the designation will conflict with the Master Plan, which can never happen because the land use doesn’t change. Because of the unusual way we process designations, the Mayor and Council review a property twice. The first time is simply a formality because of some quirk in law that only allows the Mayor and Council to submit items to the Planning Commission. Unfortunately, this first review is NOT a public hearing, so no one can say anything–neither the owner, neighbors, or citizens–and the Mayor and Council have often used this moment to support or reject a recommendation without any discussion or comment from the public. So the house on Paca Court never made it to the Planning Commission nor did it receive a public hearing by the Mayor and Council. The HDC has complained incessantly about this unfair process and yet the Mayor and Council has never wanted to change it. I’m guessing they either don’t understand process to recognize how unfair it is or they like having this prerogative (I usually get blank stares from the Council whenever I mention it). Boy, if someone wants to simplify government and reduce waste, this is a great place to start. -That’s a fair enough deal for someone who knowingly purchases a home that is designated historic. But historic designation forced upon someone can prevent them from making changes they need to continue using a property. Indeed, there are some prime examples of historic properties that are left to rot away, rather than be useful, simply because of these rules. -Its one thing for someone with deep pockets and ambition to fully renovate an old home, its another for a working family on a tight budget to be unable to make economical upgrades to their property because of someone’ silly idea about how windows from 55 years ago used to look. People are going to want to do things to what they “think” is their private property, and be unable to because of someone else’s definition about what constitutes history. -I’m going to assume that the HDC all live in historic properties, so they know firsthand the ramifications of the processes imposed upon others…? -As long as the M&C have the final say on this stuff, I presume all is well, as they stand for election. The good thing about the designation process in Rockville is that it is reviewed at several public meetings by various groups, which gives the owner, neighbors, and the public many opportunities to speak in support or against. The initial review is by the HDC, then the Mayor and Council (but it’s not a public hearing), then Planning Commission, and then final decision is made by the Mayor and Council. The City Web site has a flowchart to help people navigate the process. The bad thing about the designation process in Rockville is that it is reviewed at several public meetings by various groups, which is a long complex process that is often confusing for the owner, neighbors, and the public. While it can be completed as quickly as eight months, it’s not unusual for designation to take twice as long. Janet McCool is the only commissioner on the HDC who lives in a house that’s a Rockville historic landmark–but that’s not a requirement for the job. Qualifications are established by state law–and it’s the only commission or board in Rockville that requires any specialized knowledge, education, or experience. I didn’t get a letter from Christina. However, my membership may have lapsed; I think I renewed in Oct. 2008, so that would be my bad. I emailed Christina and told her I didn’t get the mailing. I also asked her to announce via email broadcast the date and time of the next Exec Comm meeting. The annual election for TCA officers should be held at that meeting. Our annual election will be at our June General Membership Meeting on Tuesday, June 29, 2010, 7 PM at the Twinbrook Community Recreation Center, 12920 Twinbrook Parkway. Nominations need to be received by 5:00 PM June 9th. They may be submitted to Secretary Dr. Steven Wilcox at spwilcox@acm.org or mailed to Twinbrook Citizens Association, P.O. Box 834, Rockville, Md 20848-0834. Nominations can also be made from the floor at the June 29 meeting.